I’ve got quite fine, curly hair which tends to frizz quite easily and is very sensitive to the shampoo that I use. I often post about my love affair with Spoilt Salon (you can read about it here and here), but I haven’t spoken about my home hair care routine. I like to keep things simple, and by simple I mean quick and easy. The best shortcut that I’ve found is having a professional Keratin treatment once a year – I don’t love the straight hair vibe but it’s more than worth it to have no-frizz hair. Anyway, I digress. This isn’t a sponsored post, I’ve purchased everything myself and most of the products are repeat purchases. None of them are cheap unfortunately, but it actually saves me money not to be experimenting with things that don’t work or live up to their promises. Once every couple of weeks when I’ve got a couple of hours at home, I like to give my hair a treatment. There are loads of options out there but I find that a couple of hours of regular coconut oil on my hair does wonders. I avoid the roots as they tend to get a bit oily, and I just leave it on for an hour or two then wash, condition and style as normal. I really struggle with build up and oily roots and I’ve tried basically every shampoo out there (both professional and drugstore brands) and invariably my scalp reacts to the products and it’s not pretty. It’s dandruff and I’m not a fan. So the range that I use is Pureology Hydrate – it feels amazing, smells great, is sulphate-free, doesn’t leave a residue and it’s cruelty free. 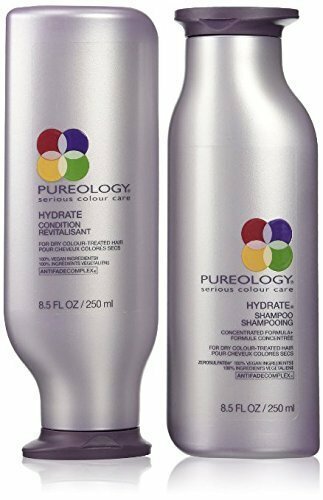 Pureology is stock at many salons, but I’ve found it’s cheapest on RetailBox.co.za (and they sometimes run specials). Currently you can buy the shampoo and conditioner together for just under R500. I don’t use many products – I find they tend to make my hair oily and don’t really help with frizz which is my main struggle. The one product that is essential in my hair care routine is the ghd Heat Protect spray – it smells amazing, doesn’t weigh down my hair and really does seem to help protect my hair from the damaging heat of drying and straightening. It’s R220 on the ghd website and well worth the money. I bought this last year after resisting the temptation for many months – and I’m so glad I did. I have curly hair and so brushing is a no-go except after showers. So I only use this on wet hair but it’s amazing how quickly and easily it goes through my hair and gets out the knots. 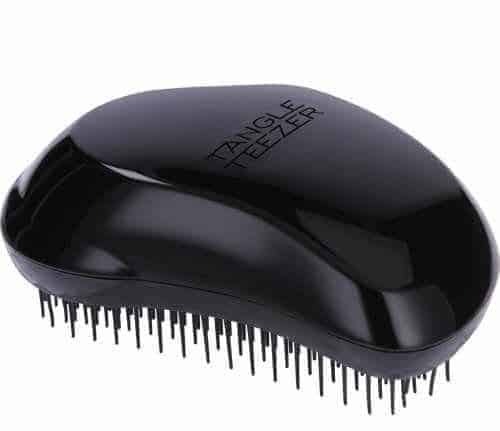 Most salons stock Tangle Teezers and there’s a huge range of options – but Takealot is usually the cheapest option (it’s currently on sale for R170.). 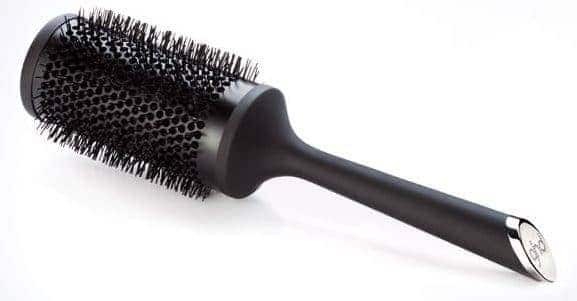 I’ve got quite long hair so I use the ceramic vented radial brush (Size 4). I find it easy to handle and find that it holds quite a lot of hair which make drying a lot quicker. I’ve had this brush for about 5 years and it still looks like new. It’s R360 on the ghd site. This little beauty is a new purchase and I’m still getting the hang of it – it works really well to style my hair quickly (I like to use it to get rid of any frizz after blowdrying) without making my hair dead straight. I’d been coveting a ghd straightener for a while after a demo at Spoilt where we were introduced to the ghd Eclipse. The ghd Platinum straightener promises to be kinder to your hair, reduce breakage and increase shine and I’m really happy with the results so far. It’s available on the ghd site for R2999. I’ve had this little guy for 5 years and he’s still going stong. 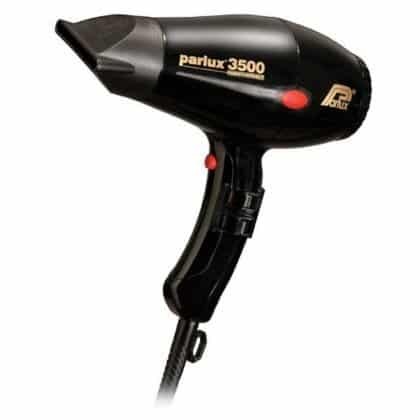 It’s a hair dryer that most professional stylists use and I can see why. Drying is a LOT quicker, and the results are pretty amazing. I can get a salon-type blowdry within about fifteen minutes and I’m super impatient and definitely not a professional. I bought the Supercompact 3500, and find that it works perfectly for what I need, but there are more powerful options. I had a quick search and it seems that they’re available on Takelot from R2200 and at Sorbet salons.